Our new QR Code Sleeve will fit onto a fit bit charge 2 or an apple watch sport 42mm and many other wrist wear. 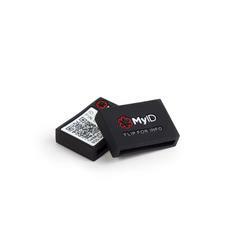 It is made of flexible surgical grade silicone and makes it easy to have your medical information with you and not even notice it's there. Please check the measurements on your band to make sure it will fit. It is shown on an apple watch sport 42MM and a Fitbit Charge 2.